People who get a good night’s sleep are less likely to be overweight or obese, according to a new study. Researchers from the Centre for Longitudinal Studies analysed information on more than 7,700 young adults living in England who were born in 1989-90 and are being followed by a study called Next Steps. At age 25, those who slept for seven or more hours a night had lower odds of being overweight or obese, compared to those who slept for six hours or less. The researchers have suggested that there may be a number of reasons why a good night’s sleep is associated with a healthy Body Mass Index. 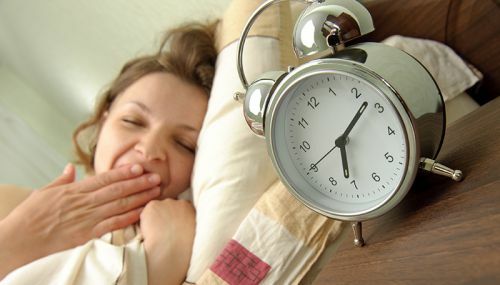 “Lack of sleep may also disrupt the balance of key hormones that control appetite, so sleep-deprived people may be hungrier than those who get enough rest each night”. Unsurprisingly, diet also had a major effect on young people’s weight. Those who had a takeaway meal once or more a week were at greater risk of putting on excess weight than those who had up to one a month. Drinking six or more fizzy drinks a week also raised the odds of being overweight or obese. People who were either overweight or obese were less likely to report feeling healthy than those who were a normal weight. Compared to people who exercised at least once a week, those who exercised less than once a month had lower odds of reporting good, very good or excellent health, and those who never exercised were even less likely to report feeling healthy. More than half (53%) of 25-year-olds were normal weight or underweight, while 42 per cent were overweight or obese. Almost 88 per cent of young people reported having good, very good or excellent health, compared to 12 per cent who said their health was either fair or poor.